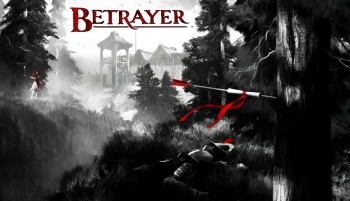 Blackpowder Games did things a little backwards with Betrayer. Development started on the game in September 2012, months before the studio itself was officially founded. 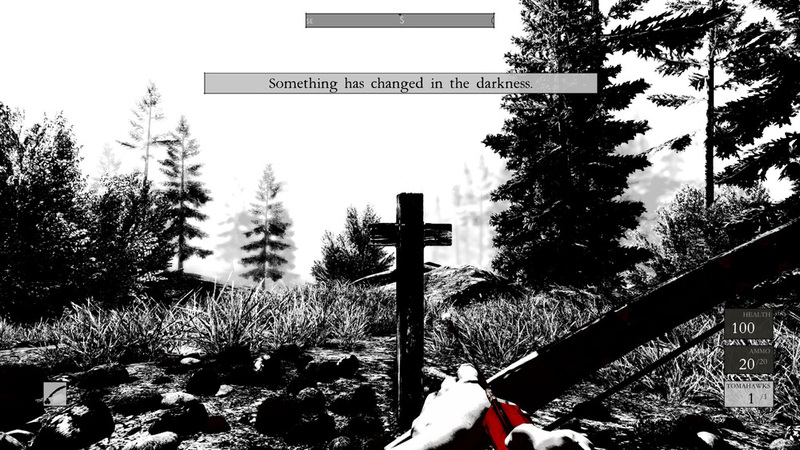 In 2013, Blackpowder was finally formed around the in-development Betrayer. This approach allowed the team to "put creative control above everything else." In just one year, Blackpowder has managed to assemble a completely unique experience with their black and white core aesthetic. Check out the screenshots below for some idea of what this means for the experience. 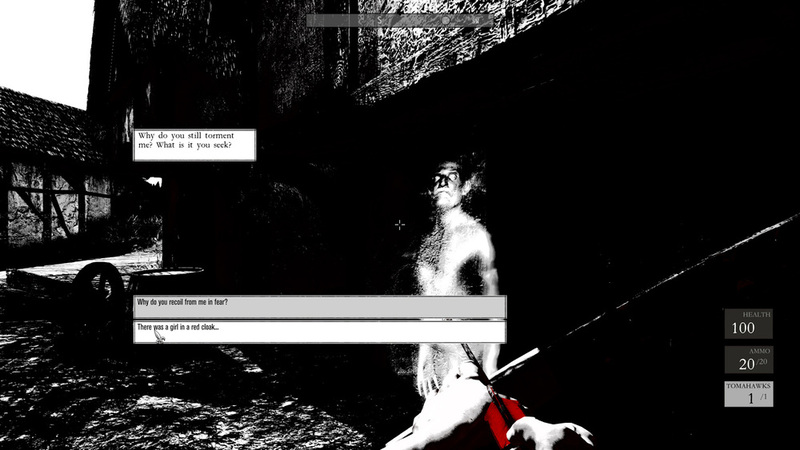 The environment is all black and white, with red being used to highlight objects of interest, from enemies to clues. The story is fairly novel as well, throwing you onto a beach in the New World in 1604. You discover abandoned settlements, aggressive conquistadors, and a mysterious woman that communicates by shooting arrows with notes attached at nearby objects. Your goal is to figure out what happened to the settlements, some of which show signs of a paranormal disaster such as human figures made of ash scattered around. 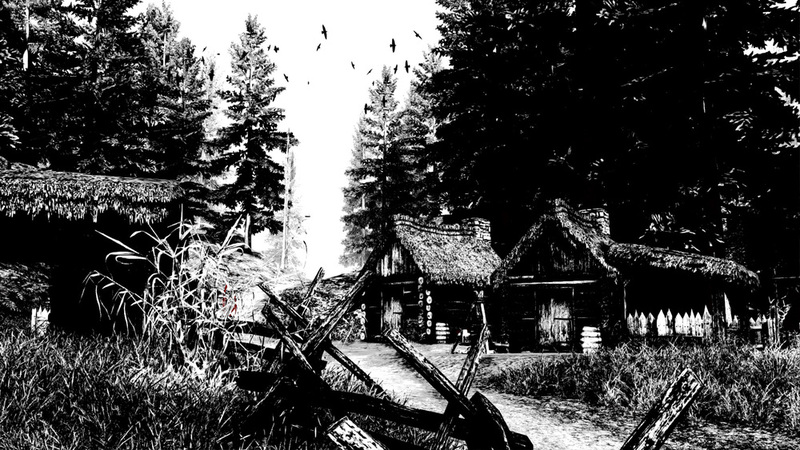 At its core, Betrayer is an eerie first person action adventure game. The Blackpowder team mentioned that a quest system was once in place, but it was removed because they wanted to ensure that players experience the game in their own way. It's about exploration, investigation, and mystery, all of which lose a bit of their impact when you're just plowing through a quest line. Instead of hand holding, you'll be free to roam, discover what you can, and puzzle out the rest. You'll fight conquistadors and natives with a bow, musket, and pistol, along with your base melee attack. Watch out when you're trying to take out conquistadors with your arrows, however, because their armor has a chance to deflect. In case the black and white motif isn't to your liking, and thanks to fan feedback of that nature, they've introduced contrast and color sliders which allow you to customize the visuals in game. I rather enjoyed the singular black and white approach, though, as that is the experience intended by the team. The default color scheme lends some extra weight to the creepy feeling of the defunct colonies, and the red highlights used to alert you to objects of interest offer amazing looking contrast to the visuals. If you like a good mystery and don't mind being on your own, Betrayer is definitely worth checking out. The controls are simple enough for anybody to pick up easily, the setting is unique, and the fact that the entire story of the game is shrouded in mystery urges you to keep playing, if only to figure out what's going on. 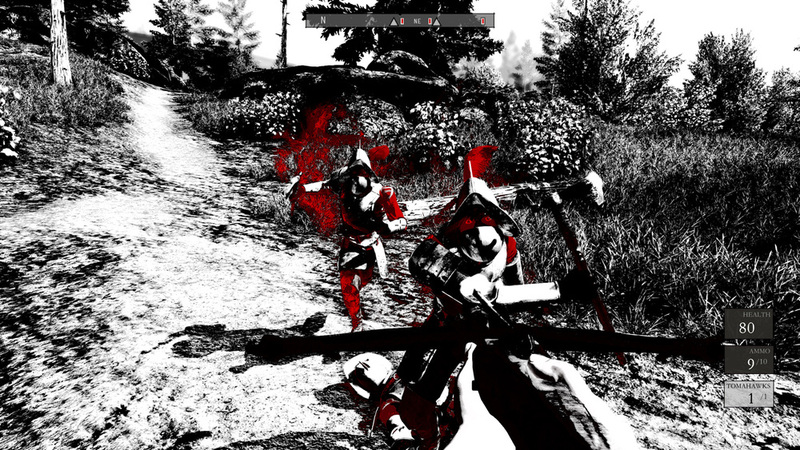 Betrayer is currently available for Early Access on Steam. There is no firm official release date as yet.